Link your own path to victory in this highly addicting puzzle RPG. 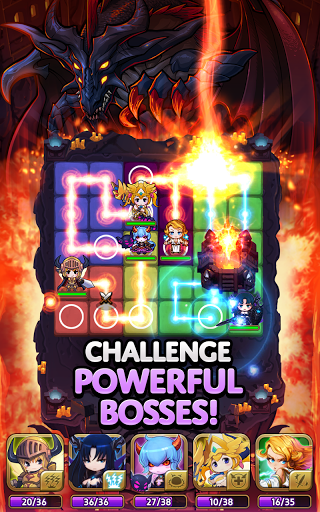 – Battle monsters by linking matching colored tiles with simple touch-and-drag controls. – Unleash a Perfect Attack by using the entire board! – Use the elements to take advantage of the flow of battle! – Wisely use each hero’s special attack to gain the upper hand! 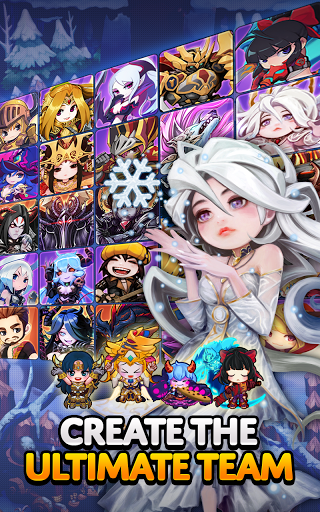 – Collect over 250 different heroes to create the ultimate team! – Train and evolve your summoned heroes to unleash devastating attacks! 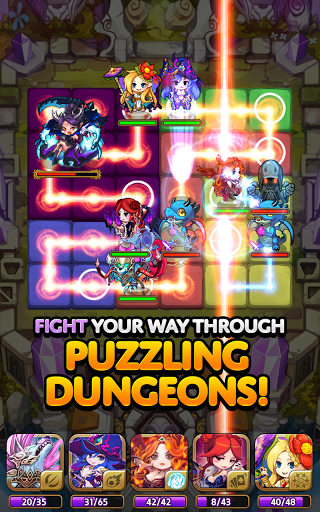 – Make friends and conquer the toughest dungeons together! – Earn rewards by helping your friends! – Clear the special dungeons to collect rare heroes! – Compete against other adventurers to be the best! – Participate in Boss Raids for awesome rewards! 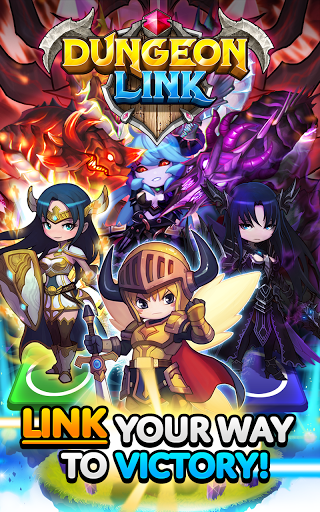 *Dungeon Link syncs your contacts for the in-game Add Friend feature. Your info will be encrypted and used strictly for the Add Friend feature in Dungeon Link only.